You go to your gym, where membership is free. You start lifting, and you gradually work your way up to 100 pounds. Then, one day, you come in to find that the next available weight increment is 300 pounds. You can’t work up to it from where you are, BUT—for a mere $5—you can actually have 10 pounds temporarily removed from your usual 100. In return, the chalkboard on the wall will announce that you, [Your Name Here], have lifted 300 pounds. Insert another $5 to repeat the process and mark yourself down for 350 pounds, etc. What will this do to your muscle tone and progress as a lifter? This is sort of how popular “free-to-play” games work, and virtual economist Ramin Shokrizade outlines their tactics in a Machiavelli-style indictment-as-instruction-guide here. In traditional non-monetary games, we put skill in to get more skill out. When we gamble, we put money in and hope to get more money out (Pro Tip: We usually don’t). In a free-to-play game, we generally don’t ever expect to get money out, and money is used as an input in place of skill—or to “supplement” skill. Less skill in means less skill out—less learning. And these games are extremely popular and profitable. So here’s my question: What are players getting out of these games? Discuss. 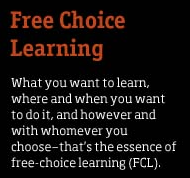 Posted in Free-Choice Learning, Games. Harrison Baker works as an aquarist at Oregon State University's Hatfield Marine Science Center. His academic background is in animal husbandry, journalism and editing. He is currently pursuing an MS in Free-Choice Learning Science Education. His board game, Deme, is currently under development as a component of his MS project on games and adult learning.